The Moody Tree Farm Gift Shop is open from April 15th until December 24th. Hours vary according to the season. Please call (518) 891-4147 for actual hours. 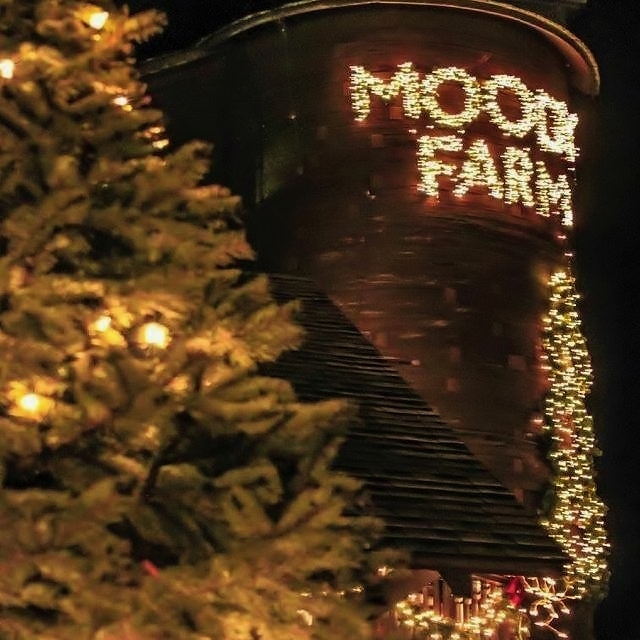 The Moody Tree Farm Gift Shop is located throughout several areas of their old barn, alongside the actual production of their products. During the holiday season you are able to not only purchase a wreath or centerpiece but actually watch it being made and decorated. The balsam pillows and other handmade products are hand sewn in an area of the gift shop as well. Shopping at the farm is a one of a kind experience. In addition to their hand made products, The Moody Tree Farm gift shop stocks ornaments, decorations, faux wreaths and garlands, Christmas cards, and most of your holiday needs. They also are distributors for Caldrea all natural cleaning products and FarmHouse fresh beauty products; as well as other gift idea.